Reactive maintenance – otherwise known as breakdown maintenance – involve repairs which are done once a piece of equipment has already broken down. Instead of investing sometimes thousands of pounds in a new product reactive maintenance focuses on restoring the broken equipment to its normal operating condition. This can be through replacing internal parts or merely repairing faulty components depending on the issue. 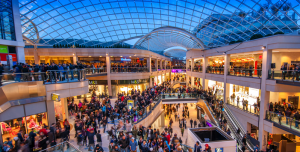 When you’re in retail if a key piece of equipment breaks down it can be a shock and a hinderance on your business which is why we offer property maintenance and reactive maintenance services 24 hours a day. If a key piece of your equipment develops a fault when you’re beginning your night shift at 9pm you don’t want to wait 12 hours for helplines to open to log your fault because then the equipment might be out of action for a day – or more. By calling us in the middle of the night we can begin plans for repairing your equipment while the rest of your business are still sleeping. Come morning your problems will be well on the way to being solved. 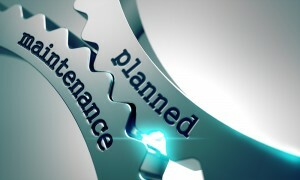 Why Plan Maintenance when it isn’t needed? Sometimes businesses plan maintenance, but how can you know when equipment is going to need maintaining? While the age of the equipment can play a part in its working life there are also many other factors which need to be addressed including the amount it is used, how long it is operational a day and many other factors. Planning repairs or maintenance of equipment can be time consuming to plan, but with reactive maintenance there’s no planning as you don’t know when you’ll need help. We send out technicians when your equipment fails and it’s as simple as that. 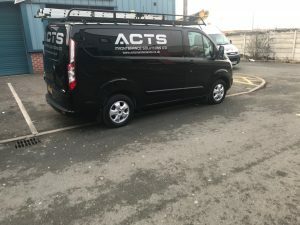 ACT should always be your first port of call when you are thinking of discussing your requirements. We can offer all forms of facilities management and breakdown maintenance. When bad surprises happen you don’t want to be stuck with just a computer and a long winded Google search to work out who can repair your equipment in lightning fast time. When our repairers are called out to your equipment they’ll not only fix it but see if they can add any preventative measures to stop it happening again. Low initial costs: Why waste money? The costs of reactive and property maintenance are initially quite low because when a piece of equipment is relatively new the repair costs are also likely to be low so you’ll save money on both labour and parts to begin with. Plus when using a reactive maintenance model you are only reacting when there is an issue rather than getting it checked over when there is nothing wrong. As long as you know who to call should there be an issue there is nothing to do unless one occurs. Investment which is put into procedures, organisation and pre-planning is substantially reduced alongside the initial costs. Why throw money away repairing a piece of equipment which is working perfectly fine? The lack of constant maintenance doesn’t just reduce the monetary costs but it also requires fewer staff to manage a brand or range of clients. If you’re managing a business with twenty shops and each one has maintenance on a monthly basis this can take a lot of management, organisation and planning and it is possibly the job for multiple people. If you work on a breakdown maintenance basis and only react when there is an issue you will need fewer staff to manage the day to day operations. This can give you two positives in saving payroll for the business, you either increase profit margins, or you can reduce your cost to clients and offer more competitive rates to acquire more business. Whatever model you choose to have for your business ensure you contact ACT for any form of property maintenance or facilities management. Our team of highly qualified staff are on hand 24 hours a day to ensure you have peace of mind that you can carry on with your business. Our centre works on a online logging system which monitors and tracks each of your active jobs and will follow them through to completion to ensure the best result is achieved. Our commitment to customers means that we have invested a lot in the latest technologies to ensure that while our company continues to expand our response rates continue to mirror their existing timeframes. Our overall aim is to maintain a fixed rate to minimize any disturbances to your business which may have resulted from the issue.